I have just got back from the UK, where I was attending my sister’s wedding. She and her groom did a lovely job, with the help from friends and family. A great time was had by all, and the weather mostly held off. Congratulations to my sister and her new husband! I also managed to fit in a little bit of a forage, between the wedding day and the train home. I found some blackberries, at last. This year has been terrible here, probably because of the lack of pollinators. I got enough for a couple of good crumbles, or maybe even a pie. I also got a sizeable amount of rowan berries, which I am experimenting with. I will bring you the recipe shortly. I found these little beauties. I wasn’t looking for them, in fact I was busy with other things, but once you start to forage, spotting things in fields and hedgerows becomes like second nature. You can’t help but investigate, which often leads to thinking up ways to use your finds. As Shaggy Ink Caps do not keep well at all, I quickly made them into a tasty little soup. It was really delicious, as they have a nice nutty, mushroomy taste. I did not get pictures, because (as the name suggests) it was a grey/black colour, not unlike food containing squid ink. I think that adding wilted and chopped spinach would help to make the dish look more appetising, if you are averse to odd-coloured food. Don’t let the colour put you off, the soup is definitely worth it. I have given the recipe below, in case you come across any for yourself. 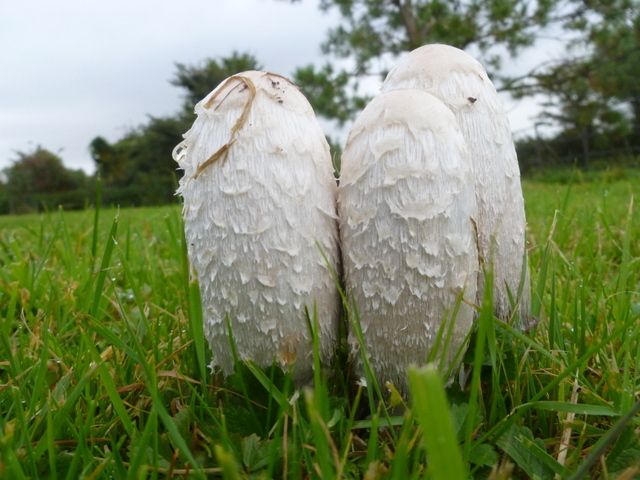 WARNING: It is very easy to confuse the Shaggy Ink Cap with the Common Ink Cap. Both are edible, but the Common Ink Cap will poison you if you eat it with alcohol.There have been no reported fatalities from this kind of poisoning, but the symptoms can be uncomfortable. In fact, alcohol is best avoided for at least the next day too, to be on the safe side. Please also stick to Basic Fungus Foraging Rules when picking mushrooms. This soup was enough for 2 people, and will freeze well before the cream is added. Chop the onion, and roughly chop the garlic, and sweat them off in some olive oil, until translucent. Roughly chop the caps of the mushrooms, and chop the stalks reasonably finely. Add to the onion and garlic, and add the butter. Season well with salt and pepper, and fry off. This stage may take a while, as you want to try to drive off the black moisture that will seep from the mushrooms. At this point I added the pasta, to give a bit of bulk. You could also add leftover rice, or cooked potato. You could probably also add raw potato when you sweat the onion. Or leave out the starch altogether. I mainly added it because it was in the fridge. Add warm stock, and the chopped stalks of the parsley. Bring to the boil, then simmer for 5-10 minutes. Blitz in a food processor, or with a stick blender until it is as smooth as you like your soup. I don’t like it completely smooth, so I don’t do this as long as I could if I liked a more homogenous texture. Return to a pan, and add the cream and the chopped parsley leaves. Warm, but do not boil. Taste for seasoning, and serve. You can also add a swirl of cream in the bowl if you want it to look a bit more fancy, but really, how fancy can a kind of grey/black soup get? 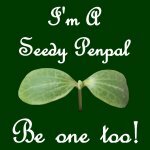 Reblogged this on lindas- gardening journey. I bet that pine forest has LOADS of lovely edibles. The basics with mushroom foraging is that you stick to what you absolutely know, or can identify. It has meant that I have left some potentially delicious mushrooms alone, for fear that they may have been deadly. I want to go on a course as well, it can only help. Hello Ailie. Thanks for stopping by to give another lovely recipe for shaggy ink caps. Your recipe sounds delicious. 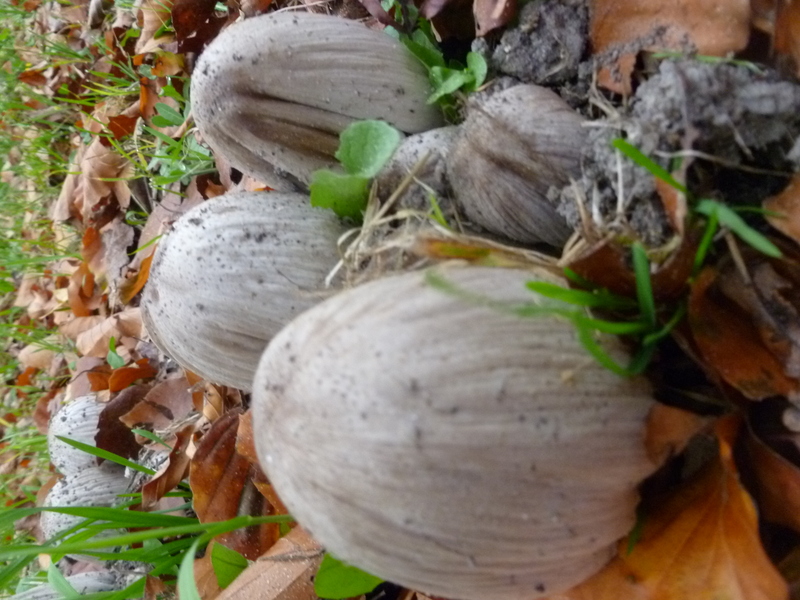 I’m hoping to get out foraging at the weekend, so I’ll be looking out for some shaggy ink caps. If I find any, I’ll give this a try.